At last week’s Timecrafter’s luxury public watch event in New York, iW sat down with actor and professional racecar driver and team owner Patrick Dempsey to learn more about his racing team and his work with TAG Heuer. As an ambassador for the brand since 2014, and a long-time watch collector as well, Dempsey has visited the watchmaker’s headquarters in La Chaux-de-Fonds and a year ago waved the green flag inviting 2015 Indy Car drivers to start their engines for the 99th racing of the Indianapolis 500. Along with four starts at the famed 24 Hours of Le Mans between 2009 and 2015, Dempsey has competed in a total of sixty-eight races between Grand-Am, ALMS and the IMSA WeatherTech SportsCar championship. He has done well too, scoring nine podium finishes, including high profile races like the Rolex 24, Sebring 12 Hours and Petit Le Mans at Road Atlanta. 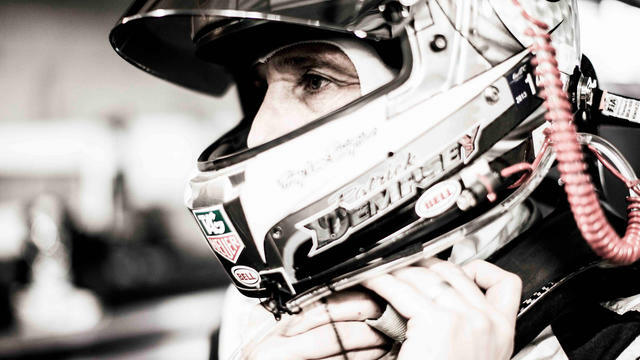 While Dempsey is currently taking a break from the driver’s seat to spend more time with his family and his other jobs, acting and producing, he maintains close ties with his team, Dempsey-Proton Racing, which is racing a Porsche 911 RSR in the World Endurance Championship season. Still, despite his role this season strictly as an owner, Dempsey recalls how vividly aware he is of time while behind the wheel. Dempsey-Proton Racing just completed the Silverstone race and Spa (6 Hours of Spa-Francorchamps, in Belgium) a few weeks prior to Timecrafters, he explains. “I visited TAG Heuer after reading Jack’s biography. 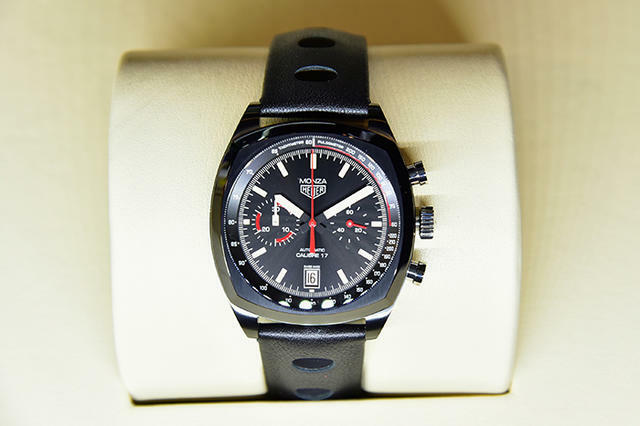 You look at what Jack Heuer has done, with his breakthrough with the Carrera, and then one step further with the Monaco, he is so connected to McQueen and LeMans, and really placed the first product placement in a movie It was a fascinating journey he went on. I was also impressed with the watchmakers there, with their patience and focus. All of that plus the history, the museum, to be there with him and hear his perspective on time – it was remarkable. I also met Mr. Biver and he understood how important Jack Heuer is to TAG Heuer. I really learned a lot. Is it difficult to balance a serious racing schedule and professional acting? “Absolutely, and something gets sacrificed to do it at the level you need to do it. Certainly within the WEC, in racing with Porsche, for me it’s a total commitment. Last year I was 100 percent racing at the cost of many other things in my life. But it was worth it in so many ways because I achieved the goals I set out to achieve. It affects everything I do know on a daily basis. It certainly is affecting me this year with movies coming out. I’m about to direct a movie and in pre-production for that. It taught me that you have to be focused on the task at hand; you can’t spread yourself too thin. You have to make a decision about what to focus on and commit to it. Whatever that may be, family, career or racing. At its Timecrafters booth, TAG Heuer presented new and historical timepieces, including the original 1916 Mikrograph, perched in a showcase alongside the stunning 2016 re-edition. Also on display was the firm’s famed 1963 Carrera, seen with the newest models, Heuer 01 and Heuer 02. 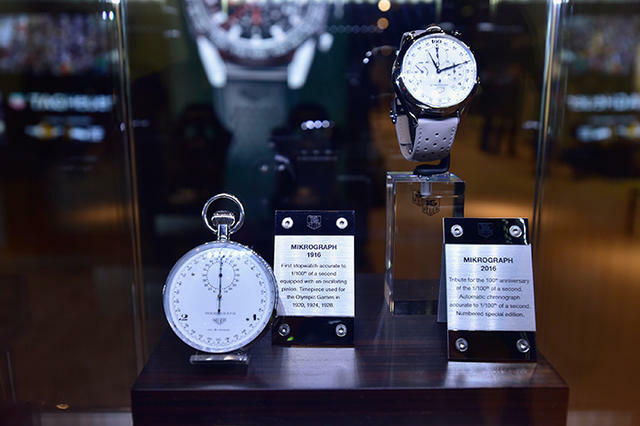 Similarly visitors could eye a 1916 Heuer wristwatch alongside the TAG Heuer Connected Watch, which also boasted a series of new screens, including one devoted to the 100th running of the Indy 500 this May 29.